New law on employment will allow 7,000 families to involve in self-employment program by the end of this year. 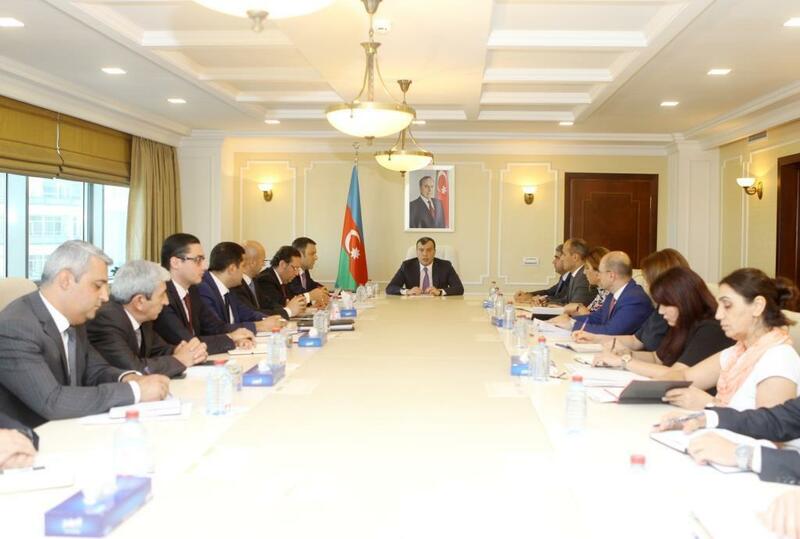 Minister of Labor and Social Protection, Sahil Bababyev said at the meeting of Working Group of Ministry about the preparation of proposals regarding ensuring the efficient employment of the population, straightening measures on the social protection of unemployed and job seekers, and increasing transparency. Babayev talked about the issues arising from the Law of the Republic of Azerbaijan on employment. He mentioned that this law promotes the employment of the population, the improvement of state policy and employment services in the field of social protection of job seekers and unemployed citizens. The minister emphasized that the new law stipulates the organization of employment services mainly in the electronic environment. Also, the law envisages the electronic registration for the creation of single database, as well as job vacancies, establishment of a vacancy bank as an electronic information resource for new jobs. According to the new law, the procedure of registration of job seekers and unemployed persons will be carried out electronically. Babayev also mentioned about the acceleration of work on the creation of the employment subsystem in order to implement employment-related services electronically. These efforts will eventually result in more transparent and accessible employment services, and also it will give effective consequences in the fight against informal employment. This program provides to establish family businesses for unemployed and job seekers, increase in income through the implementation of labor potential, and to develop the small and medium entrepreneurship. By the end of the year, at least 7,000 families are involved in this program. In this regard, strict requirements were put to the employment agencies. Babayev concluded that “The Employment Strategy of the Republic of Azerbaijan (2018-2030)” project has already been prepared and the final version submitted. Also, according to the law on employment, indicators of quality of service for the State Employment Service have been developed. The necessary projects were drafted and submitted to the relevant state authorities for approval. Moreover, measures for the effective regulation of the labor market, work done for the adaptation of normative legal acts to the new law, proposals to increase the effectiveness of active employment measures, and projects implemented in the context of international cooperation were discussed at the meeting.